The short answer is: there is no difference! Decipher Phone Refresh originally started out as Decipher Activity Transfer, back when it was just a tool for restoring only Activity and Apple Watch data. After rolling out Decipher Activity Transfer, we got a lot of requests for adding other data options to the shrunken down backup. 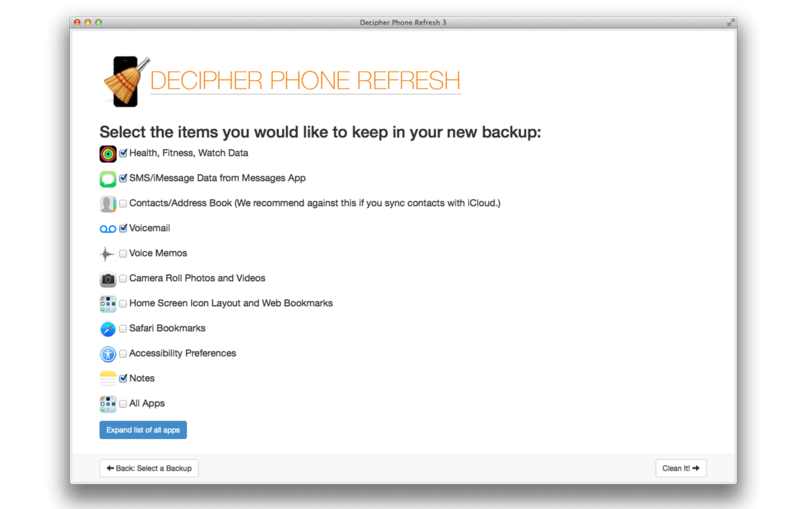 We loved the ideas, so a tool for customizing iPhone backups was born! Unfortunately the name "Decipher Activity Transfer" sounds like software that's only useful for Apple Watch users. The new features make it more generally applicable for things like cleaning up "other" space on the iPhone, fixing battery issues, or just starting fresh with the essentials. So, we made the decision to rename the program.